RBI Grade-B Phase 1 Exam Analysis: Here we are with the RBI Grade-B 2018 Phase 1 Exam Analysis and review. The most expected day is today for RBI Grade exam takers. The exam will be in 2 slots. This RBI Grade B exam will be going to change someone’s careers path. The Second Shift is Over now, this is the time to discover the exam review from the students. 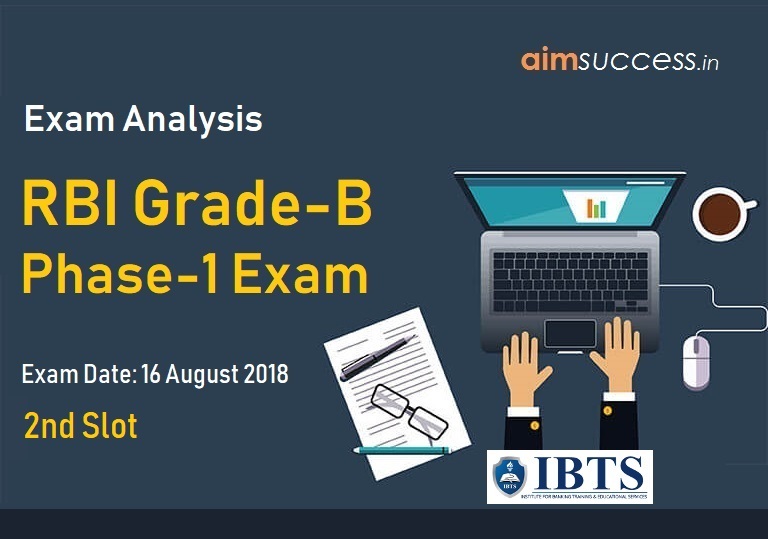 Here Let you know how the weight has given on each topic through the RBI Grade-B Phase-1 Exam Analysis: 16 August 2018 - 2nd Slot. Also, you can understand the overall difficulty level of RBI Grade b 2018 phase 1 exam. The overall level of this shift of the Moderate-Difficult Level. Quantitative Aptitude of today’s Slot 2 – RBI Grade b 2018 phase 1 exam was Moderate level. Tabular-Pie-Chart Combination and the other was a Missing Tabular DI. One Caselet based DI was also asked in the exam. English Language of today’s Slot 2 According to the RBI Grade b 2018 phase 1 exam Analysis was Moderate to tough. English section was time-consuming. Two set of RC in which one was based on a passage related ATM and Vendor Services. Reasoning Ability of today’s Slot 2 According to the RBI Grade B 2018 Phase 1 Exam Analysis the level of Reasoning Ability was Moderate. There were 5 puzzles and sitting Arrangement based on following pattern: Circular Seating Arrangement, Month based puzzle etc. General awareness of today’s Slot 2 RBI Grade b phase 1 exam 2018 was moderate. According to the exam pattern, a Maximum number of questions will be 80 for 80 Marks.